The drug policies of California and Los Angeles County address various types and classes of drugs. 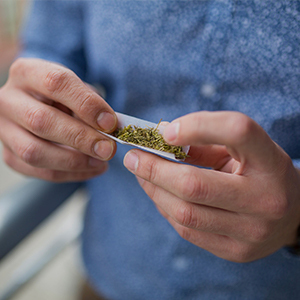 Possession of drugs such as marijuana has been decriminalized and legalized for some citizens, but the cultivation and sale of these drugs are still considered a federal criminal offense. Penalties for drug possession vary depending on the type of drug, the amount of drug in possession, and what the intent for the drug was. Sentencing may include imprisonment in county jail, fines and mandated rehabilitation. Throughout the United States, drugs are legally classified as “controlled dangerous substances” or CDS. They are divided up into different categories based on the effects the drug has when administered. Possession crimes for drugs are classified as either infractions, misdemeanors or felonies. Infractions are the least serious, and felonies carry the heaviest sentences. Unless an offense is considered a “wobbler,” or one that could be charged with either a misdemeanor or a felony, punishments for drug possession will fall into the designated categories. Possession of any of the Schedule type drugs mentioned above is punishable by fines and up to one year in county jail. Thanks to the passing of Proposition 47 in 2014, these penalties now have less of a bite than they did previously. Even so, if you’ve been charged with possession of any one of these drugs, you should contact a knowledgeable criminal defense attorney for your case. Like drug possession laws, the laws regarding the manufacture and sale of illegal substances are strictly enforced. In California, a person can be prosecuted for not only sale of the more commonly known drugs such as marijuana, cocaine and heroin, but for the sale of the compounds that are used to manufacture them. The sale of any of the CDS listed above, or purchase of those substances made with an intent to sell, is a crime punishable by two to four years of incarceration in county jail. Ensure your right to a fair and just trial by hiring the experienced and aggressive Brian A. Newman. If you have been arrested for possession or sale of a controlled substance, call a criminal defense attorney with extensive knowledge in California criminal law. The Law Offices of Brian A. Newman has a successful track record of defending clients in Torrance, Long Beach, Los Angeles County, and the South Bay region accused of drug crimes. Contact us right away at (424) 275-4014.